This Land Rover Discovery has a powerful Intercooled Supercharger Premium Unleaded V-6 3.0 L/183 engine powering this Automatic transmission. WHEELS: 21 10 SPLIT-SPOKE W/GLOSS BLACK -inc: Style 1012, Tires: 275/45R21, VISION ASSIST PACK -inc: Surround Camera System, forward path guidance, plan view, rear junction view, T-Junction view, trailer hitch guidance and trailer reverse park guidance, Auto-Dimming Exterior Mirrors, Auto High Beam Assist (AHBA), TOWING PACK. *Packages That Make Driving the Land Rover Discovery HSE An Experience*TAN/EBONY/EBONY, WINDSOR LEATHER SEAT TRIM, REMOTE INTELLIGENT SEAT FOLD PACK -inc: Intelligent Seat Fold, Powered 3rd Row Seats, 7 seats, 3rd row reading lamps, 3rd row 2 x USB charging points, Electrically Reclining Rear Seats, LOIRE BLUE METALLIC, LANE DEPARTURE WARNING, HEATED WINDSCREEN, HEATED DR/PASS 16 WAY FR SEATS W/MEMORY - STYLE 4 -inc: electric front seat adjust w/drivers seat memory, 14 way powered: 2 x fore/aft (driver and passenger), 2 x recline (driver and passenger), 2 x height (driver and passenger), 2 x cushion tilt (driver and passenger), 2 x bolster (driver and passenger), 2 x lumbar (driver and passenger) and 2/2 manual: 2 x headrest height (driver and passenger), HEAD-UP DISPLAY, FULL LENGTH BLACK ROOF RAILS, FRONT FOG LIGHTS, FRONT CENTRE CONSOLE COOLER COMPARTMENT, EBONY HEADLINING, DRIVE PACK -inc: Blind Spot Monitor w/Reverse Traffic Detection, Driver Condition Monitor, Traffic Sign Recognition w/Adaptive Speed Limiter, CARGO COVER, CAPABILITY PLUS PACK -inc: All Terrain Progress Control (ATPC), Terrain Response 2, Active Rear Locking Differential, BLACK DESIGN PACK -inc: gloss black side vents, bumper lower valance dark silver, gloss black DISCOVERY script and gloss black tailgate and boot lid finisher, Gloss Black Grille, Gloss Black Door Mirror Caps. * Stop By Today *A short visit to Jaguar Land Rover Lakeridge located at 280 Achilles Rd, Ajax, ON L1S 7S3 can get you a reliable Discovery today!This Land Rover Discovery has a powerful Intercooled Supercharger Premium Unleaded V-6 3.0 L/183 engine powering this Automatic transmission. WHEELS: 21 10 SPLIT-SPOKE W/GLOSS BLACK -inc: Style 1012, Tires: 275/45R21, VISION ASSIST PACK -inc: Surround Camera System, forward path guidance, plan view, rear junction view, T-Junction view, trailer hitch guidance and trailer reverse park guidance, Auto-Dimming Exterior Mirrors, Auto High Beam Assist (AHBA), TOWING PACK. *Packages That Make Driving the Land Rover Discovery HSE An Experience*TAN/EBONY/EBONY, WINDSOR LEATHER SEAT TRIM, REMOTE INTELLIGENT SEAT FOLD PACK -inc: Intelligent Seat Fold, Powered 3rd Row Seats, 7 seats, 3rd row reading lamps, 3rd row 2 x USB charging points, Electrically Reclining Rear Seats, LOIRE BLUE METALLIC, LANE DEPARTURE WARNING, HEATED WINDSCREEN, HEATED DR/PASS 16 WAY FR SEATS W/MEMORY - STYLE 4 -inc: electric front seat adjust w/drivers seat memory, 14 way powered: 2 x fore/aft (driver and passenger), 2 x recline (driver and passenger), 2 x height (driver and passenger), 2 x cushion tilt (driver and passenger), 2 x bolster (driver and passenger), 2 x lumbar (driver and passenger) and 2/2 manual: 2 x headrest height (driver and passenger), HEAD-UP DISPLAY, FULL LENGTH BLACK ROOF RAILS, FRONT FOG LIGHTS, FRONT CENTRE CONSOLE COOLER COMPARTMENT, EBONY HEADLINING, DRIVE PACK -inc: Blind Spot Monitor w/Reverse Traffic Detection, Driver Condition Monitor, Traffic Sign Recognition w/Adaptive Speed Limiter, CARGO COVER, CAPABILITY PLUS PACK -inc: All Terrain Progress Control (ATPC), Terrain Response 2, Active Rear Locking Differential, BLACK DESIGN PACK -inc: gloss black side vents, bumper lower valance dark silver, gloss black DISCOVERY script and gloss black tailgate and boot lid finisher, Gloss Black Grille, Gloss Black Door Mirror Caps. 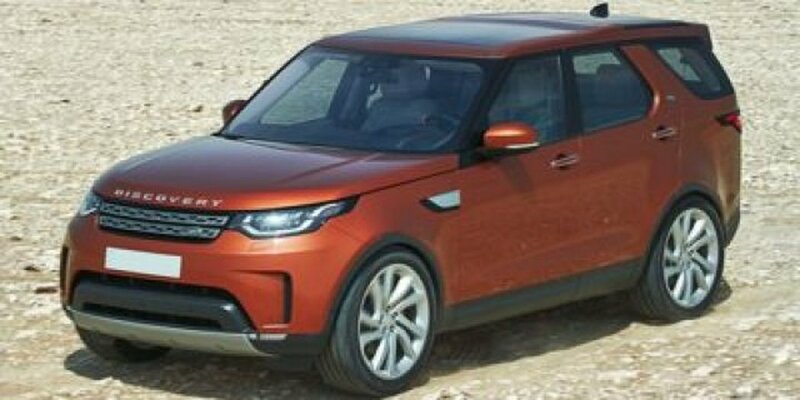 * Stop By Today *Come in for a quick visit at Jaguar Land Rover Lakeridge, 280 Achilles Rd, Ajax, ON L1S 7S3 to claim your Land Rover Discovery!Prices include all fees except licensing and HST.